An alarming report by the environmental lobbying group Greenpeace, entitled What’s wrong with PVC ? made us think about our environmental responsibilities as a company both currently and looking to the future. This report prompted us to make an important policy decision, in short to become as eco friendly as possible. We will not manufacture PVC marquees for our hire stock. In future all our traditional and frame marquees will be constructed from Grade A canvas. This decision was not taken lightly as most companies use PVC for their frame marquees. 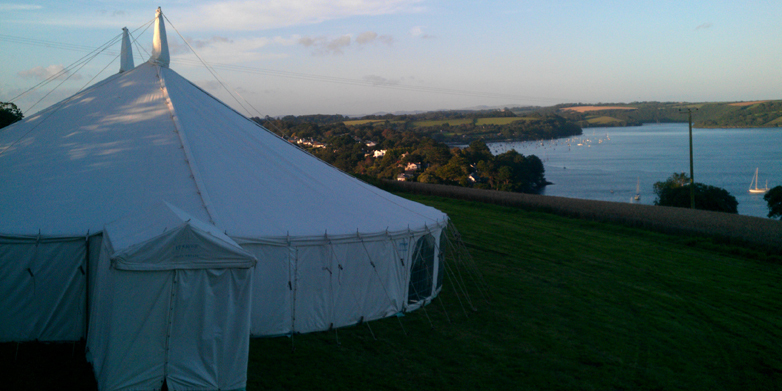 However, we at Penrose are in the fortunate position of being the only hire company in Cornwall to design and manufacture all of our own marquees. Whilst no manufacturing process is completely safe for the environment, we believe that if it is possible to mitigate any potential damage then we should be aiming to do so. We have been designing and manufacturing marquees for over 160 years so we have a wealth of experience in the marquee business and it has become apparent to us that the ambience and atmosphere in a canvas marquee is far superior to that experienced in a PVC marquee. When you hire from Penrose you know that you are not only getting the finest quality marquees but you are being kind to the environment as well.